Head coach Leonard Hamilton has Florida State basketball rolling through the early parts of the 2018-19 season. 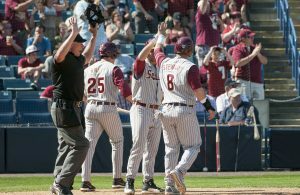 The Seminoles have played eight games and won seven of them, leading to a No. 11 national ranking heading into the final stretch of non-conference play. This season has a little bit of everything: blowout wins, game-winning shots, sloppy victories, and more. It certainly feels like the eight games were actually 20. Now that we have witnessed how the team responds to adversity and how Hamilton manages the rotations, we are able to make some observations about the team’s trajectory. Most are positive. Some are slightly worrying. Overall however, Florida State has done exactly what it has needed to do through the start of the season. Losing Ike Obiagu in the offseason and keeping Phil Cofer out due to injury seemed like the recipe for a rough start to the season. 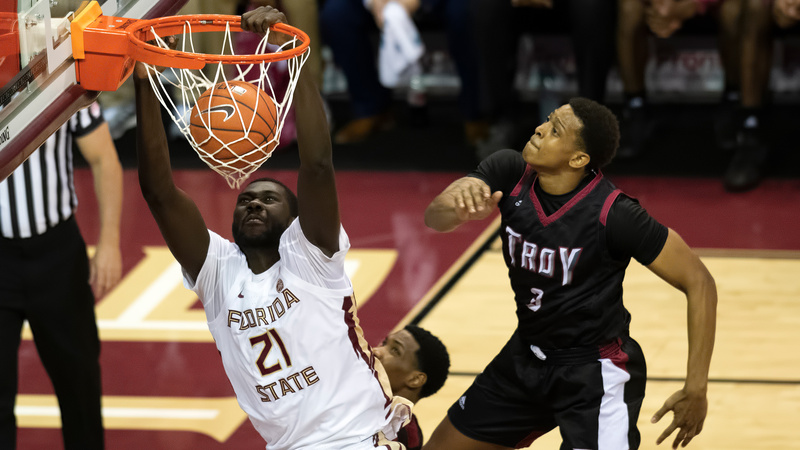 Those are two of the more talented post players, and Florida State knew it was going to face teams who could go toe-to-toe with it around the rim. It turns out that Florida State’s frontcourt deserves more credit. Mfiondu Kabengele improved in nearly every single part of his game and looks to be a reliable scorer down low. Meanwhile, Christ Koumadje’s focus is on defense and the occasional bucket, which he does adequately. He’s struggled with fouls but he is usually able to stay on the court and keep the rotations fresh. The surprise has been RaiQuan Gray. The Seminoles never anticipated him receiving major minutes this early, but the redshirt freshman has adjusted. He’s a stretch forward who shows a surprising quickness when he does choose to attack the rim. 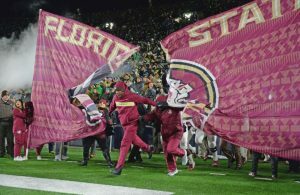 Florida State has had some close calls this season, with teams of all reputation. Part of that has to do with the absence of Phil Cofer. He is the type of veteran player who does everything well — rebounding, defense, scoring, etc. He might not be a game-changer in the post, but he can help break the team out of scoring ruts and provide reliable play elsewhere. Thankfully the breaks have all gone in Florida State’s favor. The Seminoles stand at 7-1 on the year after thrilling contests against LSU, Purdue, and Villanova, with two of those games being victories. Yet sluggish games against Troy and Tulane remind everyone that Florida State is still awaiting Cofer’s return and provide that final push over the top. If this is what it can do when he is injured, imagine what might happen when he is healthy. At this point in the season — and their careers for that matter — the team knows what they are getting from Terance Mann and P.J. Savoy. While they are great players (Mann especially), they also can struggle with consistent scoring. Mann is still limited by his lack of a consistency as a shooter in particular. It became obvious last season that Forrest had a skill set that no one else on the team possesses. He was just raw and needed more experience to turn into the player everyone knows he can be. While that has not transpired just yet, he has proven enough to be the go-to guy on offense when the team needs a bucket. The overtime win over LSU contained some of his best late-game heroics yet. 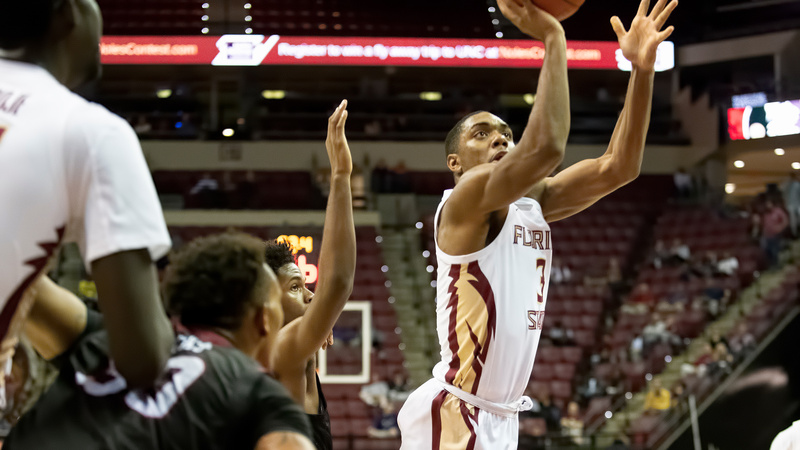 Forrest made three of the last four baskets in regulation for Florida State, including a layup in the final two seconds to send it to overtime. He followed that up two games later with a difficult floater in the paint to take the lead and ultimately win the game against Purdue with five seconds remaining. In fact, the final play of that contest was him grabbing a steal in the final seconds to secure the victory. No more evidence is needed. Forrest needs the ball in his hands when a game goes down to the wire. Florida State wants to utilize its athleticism and be very aggressive on offense. 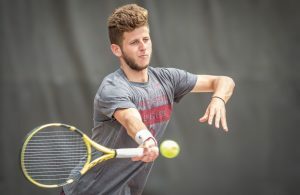 It is a sound strategy that propelled the Seminoles to the Elite Eight last year and a quality beginning to this year. Unfortunately, they are coughing up the ball more than expected. Last season’s FSU team ranked 140th in turnovers per possession and 181st in turnovers per game. Those are not stellar marks, but nothing too unexpected when a team focuses on aggressiveness. This season’s FSU team ranks 289th and 293rd in those categories, respectively. That is where it starts to become a problem. Florida State fans are well aware that the final margins of a few games have not been indicative of the actual competitiveness. Florida State got off to very slow starts against Florida, Tulane, and Troy, in part because it could not limit the turnovers on offense. The problem with the aggressive approach is that when turnovers start to become more frequent, fatigue sets in and weaknesses become magnified. The Noles need to get it sorted out and cleaned up before ACC play starts. If not, the conference slate is going to be even more difficult than already projected. Every team wants to have enough quality non-conference victories to give themselves a cushion heading in to conference play. Nowhere else is that more relevant than the ACC, which might be the most stacked basketball conference in history. Florida State’s non-conference schedule included four teams projected to finish in the top-25: Florida, LSU, Villanova, and Purdue. There is also an interesting Connecticut team and not-terrible Saint Louis team upcoming. If the Seminoles finish like they are expected to, they will be 12-1 or 11-2 before the ACC opener against Virginia on Jan. 5. Such a record would not be all that helpful if Florida State had filled the schedule with cupcakes. While it has yet to face a truly elite team, garnering wins over likely tournament teams is a huge plus when Selection Sunday rolls around. The Seminoles can point to multiple victories without one of their best players as evidence that they deserve a spot in the tournament, if not a higher seed.